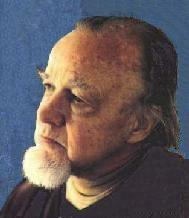 January 30, 2012 was Francis A. Schaeffer's '100th' centennial of life celebration (1912-1984)! Those of us who had the pleasure to know him or work in his legacy cannot fathom the thoughts or write down the words of the impact Francis Schaeffer has had. For us, expect for our Lord and Savior, no one has had a deeper, more profound, and lasting impression. Perhaps, no one, has had 'deeper' life ministry impact in character, in thought or in 'being' on Conservative and Reformed Evangelicalism. God's Word impacted his words and his wisdom reflected God precepts to his writings that we have to keep us honed and challenged. Those of us here at Into Thy Word, of whom Schaeffer gave inception, being researchers for his ideas and practicum.... All we can say is wow and thank-you! Thank-you to our Lord for giving us such a man to help challenge and hone us. Thank-you for giving us such a great mind that we can set as an example, a character that we can model, a legacy that we can follow and an impact that we can spread. Help us Build a Pasadena L'Abri! The question before us is what the Christian life, true spirituality, really is, and how it may be lived in a twentieth-century setting. The principle focus of FASICLD for the last 15 plus years is seeking why so many churches are failing. This is what we found, and it is not pretty: Our churches are not glorifying Christ because we are failing at knowing and growing in Him personally. We are not able to teach others when we are failing at following Him and Him alone! Remember, it is His Church and we are the caretakers of it. Thus, we must act according to our call. It is blatantly evil to twist God's truths to fit our whims and rationalize our sin. It creates a bad "who" and a bad "how we are." Do not allow this in your church! We have to be willing to prevent, discipline, and even kick out the manipulative and deceptive people in our churches. Out of learning why churches fail, we also learned why they succeeded. The churches that are healthy, growing spiritually, and are socially vibrant have significant aspects that set them apart from the failing churches. These factors are displayed in order of relevance and importance. Each one of these factors creates a harmony, contentment, and atmosphere for a churchgoer to come to church services and fellowship, and then to invite others. More Schaeffer Books Books from Christianities Greatest Minds! The Institute is incorporated as a 501 (c) (3) not-for-profit organization and depends on gifts and contributions from friends and donors.